when it’s the builder, not the prophet, that is commander in chief. These lines seem to undeniably predict that Donald Trump would become the President – 37 years ahead of time! This prediction comes along with a slew of similar ones from years past, among them, a The Simpsons episode from 2000 wherein Trump becomes president. The song, which is called ”Park Ducks on Ice”, in its recorded form will not be released until 2019 when a licensing contract expires, but the lyric sheet will be available to the public shortly. 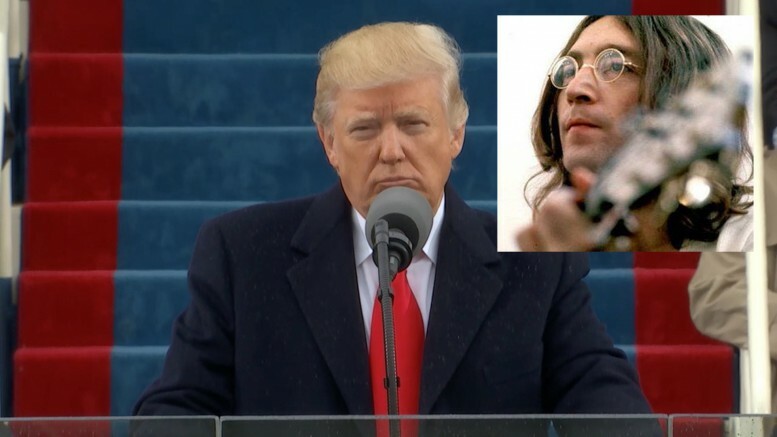 The John Lennon estate is yet to comment on this bizarre prophecy that came true on Friday, and are yet to illuminate us on what Lennon actually thought of President Trump in the 70’s and 80’s. Be the first to comment on "John Lennon predicted Trump’s presidency in unreleased 1980 song"